I just made meatloaf last week. I love the tomato sauce on top. i like how you made smaller ones, good idea....looks good. Now here's a meatloaf that looks & sounds delicious. Add mashed pot's & salad...perfect! This sounds very good. I like meatloaf and scalloped potatoes.Yummy. 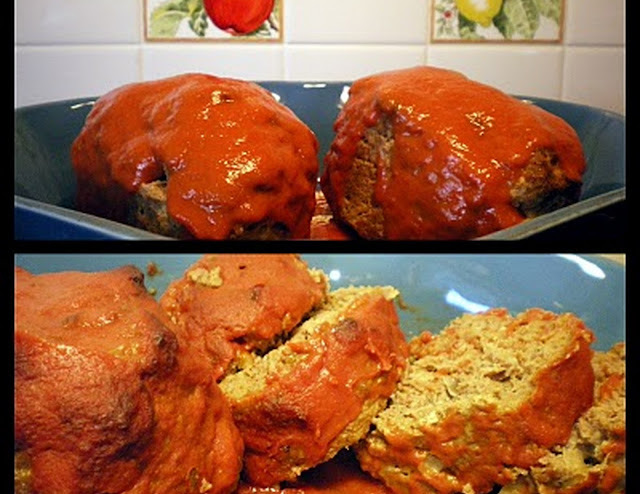 My mom always made meatloaf. It was one of my favorites. I just need to add a few things to make it better. This is quite honestly the BEST meatloaf I have EVER had. Tastes similar to a popular cookhouse version - but homemade is so much better. Thank you for sharing!